Using a mouse model, researchers from North Carolina State University have found that antibiotic use creates a "banquet" for Clostridium difficile (C. diff), by altering the native gut bacteria that would normally compete with C. diff for nutrients. The findings could lead to the development of probiotics and other strategies for preventing C. diff infection. C. diff is a harmful bacterium that can cause severe, recurrent and sometimes fatal infections in the gut. Although the bacteria are commonly found throughout our environment, C. diff infections primarily occur in patients who are taking, or who have recently finished taking, antibiotics. "We know that antibiotics are major risk factors for C. diff infection because they alter the gut microbiota, or composition of bacteria in the gut, by eliminating the bacteria that are normally there," says Casey Theriot, assistant professor of infectious disease at NC State and corresponding author of a paper describing the research. "Our latest work suggests that the microbiota may provide natural resistance to C. diff colonization by competing with C. diff for nutrients in that environment; specifically, for an amino acid called proline." Theriot and postdoctoral fellow Joshua Fletcher introduced C. diff to antibiotic-treated mice and monitored their gut environment at four intervals: 0, 12, 24, and 30 hours after introduction. They conducted metabolomic and RNA sequencing analysis of the gut contents and the C. diff at these time points to find out which nutrients the bacteria were "eating." Metabolomics allowed the team to trace the abundance of the nutrients in the gut, and RNA analysis indicated which genes in the C. diff were active in metabolizing nutrients. "We've been able to show that in the absence of competition C. diff is metabolizing proline and other amino acids in the mouse model, using it as fuel to survive and thrive," Theriot says. "Hopefully this information could lead to the development of better probiotics, or 'good' bacteria that can outcompete C. diff for nutrients in the gut. The ultimate goal is to control these bacteria in ways that don't rely solely on antibiotics." The research appears in mSphere, and was funded by the National Institutes of Health (grants R35GM119438 and K01GM109236). Fletcher is first author. Animal studies and RNA sequencing were done at the University of Michigan. Metabolon, Inc. conducted the metabolomics analysis. Cristina Lanzas, associate professor of infectious disease at NC State, and postdoctoral fellow Samantha Erwin also contributed to the work. "Shifts in the gut metabolome and Clostridium difficile transcriptome throughout colonization and infection in a mouse model"
Antibiotics alter the gut microbiota and decrease colonization resistance against C. difficile, however the mechanisms driving colonization resistance are not well understood. Loss of colonization resistance against C. difficile due to antibiotic treatment is associated with alterations in the gut metabolome, specifically increases in nutrients that C. difficile can utilize for growth in vitro. To define the nutrients C. difficile requires for colonization and pathogenesis in vivo, we used a combination of mass spectrometry and RNA seq to model the gut metabolome and C. difficile transcriptome throughout an acute infection in a mouse model at the following time points 0, 12, 24, and 30 hours. We also performed multivariate-based integration of the omics data to define the signatures that were most important throughout colonization and infection. Here we show that amino acids, in particular proline and branched chain amino acids, and carbohydrates decrease in abundance over time in the mouse cecum, and that C. difficile gene expression is consistent with their utilization in vivo. This was also reinforced by the multivariate-based integration of the omics data where we were able to discriminate metabolites and transcripts that support C. difficile physiology between the different time points throughout colonization and infection. This study illustrates how important the availability of amino acids and other nutrients are for the initial stages of C. difficile colonization and progression of disease. 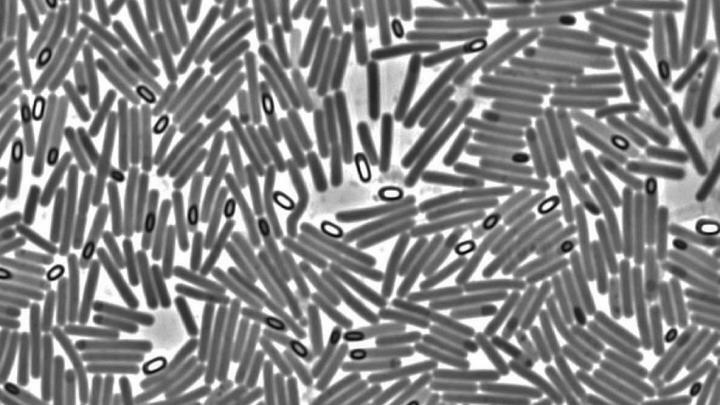 Future studies identifying the source of the nutrients, and engineering bacteria capable of outcompeting C. difficile in the gut will be important for developing new targeted bacterial therapeutics.